June 13, 2015  It is the first such release in five months from the U.S. prison at Guantanamo Bay, Cuba, and the first to be approved by Defense Secretary Ash Carter. May 7, 2015  Omar Khadr, who served more than a decade at Guantanamo Bay, has been released on bail while he waits out an appeal for war crimes' convictions. The Canadian government criticized the judge's ruling. 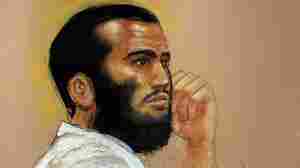 May 5, 2015  Omar Khadr was sent to Guantanamo Bay prison when he was 15 years old. Now in prison in Canada, he is seeking bail while he appeals his war-crimes conviction. Ottawa wants him to stay put. May 2, 2015  A judge has blocked women from shackling and escorting the five Muslim men on trial for plotting the Sept. 11 attacks. 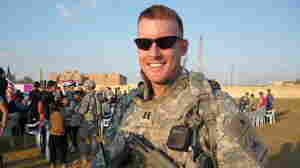 Soldiers, in turn, have filed Equal Opportunity complaints against the judge. February 26, 2015  Five men are charged with planning the Sept. 11 attacks. 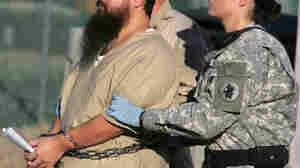 When they appear for proceedings in Guantanamo Bay, people who lost loved ones that day are flown down to the courtroom to bear witness. 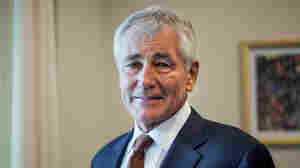 January 26, 2015  In an interview with NPR's Morning Edition, outgoing Secretary of Defense Chuck Hagel says he is concerned about the toll of repeatedly rotating the same soldiers back to the front lines. 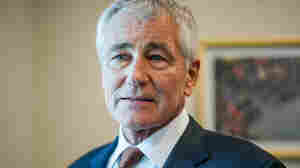 January 24, 2015  The outgoing secretary of defense conceded his handling of the Guantanamo Bay detainee issue "hasn't always made me popular in some quarters." 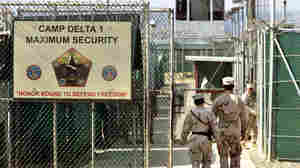 January 15, 2015  The transfers, announced late Wednesday, bring to 122 the number of detainees who remain at Guantanamo Bay. 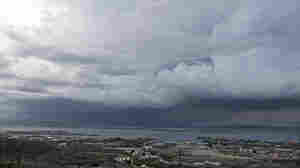 The move comes amid GOP opposition, citing security, to freeing prisoners from the facility. December 31, 2014  The transfer is part of a plan to close the detention facility in Cuba. 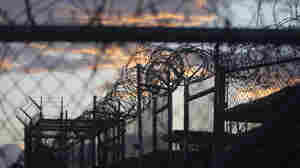 The Pentagon says there are still 127 detainees at Guantanamo. December 20, 2014  The inmates were sent home on a request from the new Afghan president, Ashraf Ghani. 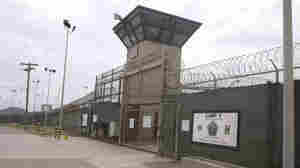 It is the latest in a series of moves to draw down the prison population by sending prisoners abroad. December 7, 2014  Four Syrians, one Tunisian and one Palestinian were released to the South American country early today as part of a deal to reduce the inmate population at the controversial prison. November 21, 2014  Four of them are the first Yemeni detainees to be transferred since 2010. 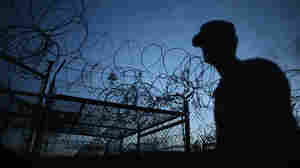 There are still 143 men at the U.S. military prison at Guantanamo Bay, Cuba. August 31, 2014  One of the lawyers for self-proclaimed Sept. 11 mastermind Khalid Sheikh Mohammed resigned from the Army last week. He tells NPR the government is putting on a "show trial." May 17, 2014  District Judge Gladys Kessler also ordered the government to keep all videotapes that show the force-feeding of Jihad Dhiab, and she called on the Obama administration to act further. March 11, 2014  Jon Eisenburg is asking a federal court to slow the pace of the force-feedings. 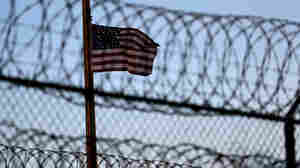 The amount of liquid food given to the detainees causes intense pain, the lawyer says.